The idea behind Docker, a free an open source program, is simple. Create a tiny virtual environment, called a container, for an application that includes only its particular set of dependencies. The Docker engine accounts for, manages, and builds these containers through functionality provided by the host operating system. Software running inside containers share the Linux OS and other resources, making their footprints radically smaller, and the containerized applications easy to install, manage, and remove. Applications can be packaged without worrying about environment-specific deployment concerns, and the operations team gets cleaner, more efficient systems across the board. 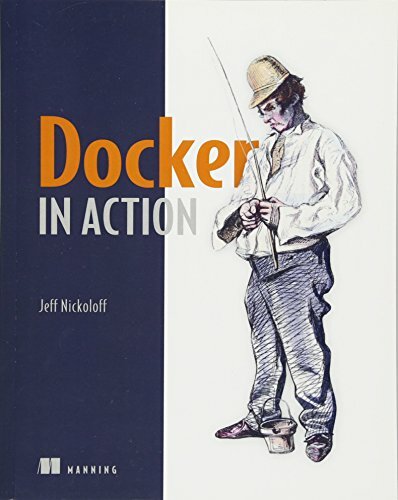 Docker in Action starts with a clear explanation of the Docker model of virtualization and shows how to create, deploy, and manage applications hosted in Docker containers. It offers specific techniques for testing and distributing applications via Docker Hub and other registries. It shows how to take advantage of the Linux OS features that Docker uses to run programs securely, and how to manage shared resources. Using carefully-designed examples, the book guides readers on orchestrating containers and applications from installation to removal. Along the way, it teaches techniques for using Docker on systems ranging from personal dev-and-test machine to full-scale cloud deployments. Jeff Nickoloff is a software engineer who has presented Docker and its applications to hundreds of engineers and administrators at Desert Code Camp, Amazon.com, and other technology meetups. His experience includes providing high availability services, scaling to thousands of transactions per second and microservices architecture at Amazon.com; and a long development background at Limelight Networks and Arizona State University.